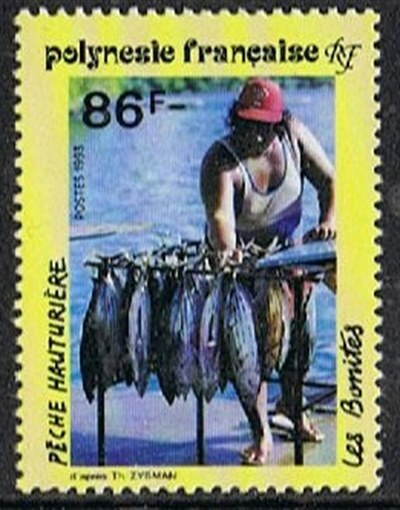 In 1993 French Polynesia issued three stamps for the catching of the stripped belly bonito in the waters of French Polynesia. The 68F shows a bone fish-hook to catch the bonito. Nowadays this bone fish-hook is not more used and replaced by modern steel hooks. 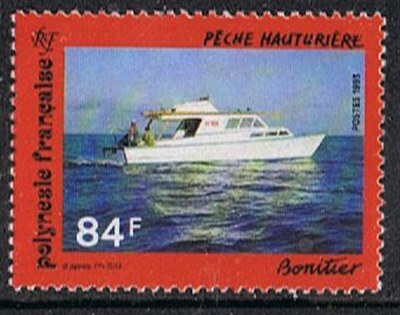 84F shows a “bonitier” as it looks on the stamp more like a pleasure yacht, used by the catching of bonito’s. Have not any detail on the vessel. 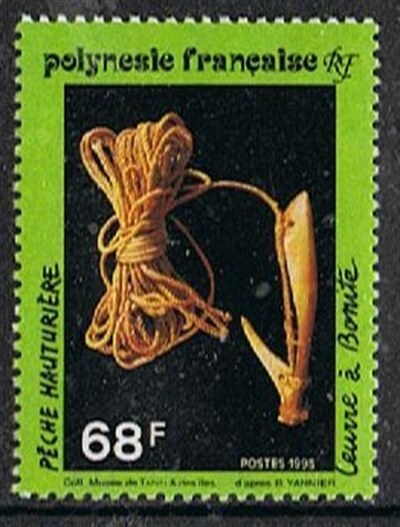 French Polynesia 1993 68/86f sg 672/74, scott 612/14.